Tim Stockman and his team at Appliance Services have been helping Christchurch households repair and replace whiteware appliances for 24 years. 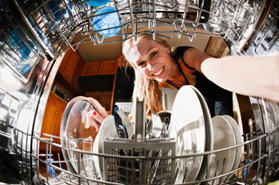 Need your washing machine, fridge, dishwasher, dryer, stove or other whiteware appliance repaired? We can help! Looking for a deal and advice on purchasing guaranteed secondhand appliances? We can help! Looking to clear out your home or business, or trade-in whiteware appliances? We can help! 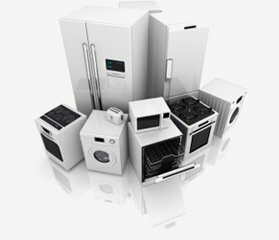 Is your appliance in need of repair? Home appliance repair and in store whiteware assessments available. We work with a wide range of brands, and provide a guarantee on our work. Dishwashers, Fridges, Freezers, Washers, Dryers, Stoves, Ovens, and much more available at great prices. Just drop in, contact us on 03-366-1118 or through our contact page to find out what we've got in stock. Delivered & Warranted Second Hand Appliances. 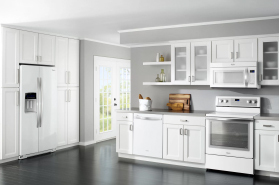 Is it time to upgrade your appliances & whiteware? We buy & trade-in appliances and whiteware. We have customers wanting to buy it! Don't want to commit to owning your whiteware appliances? No worries - you can hire off us instead! We hire a wide range of whiteware appliances.